Part muscle. Part elastic. Part fire. Part invisible. Together, it’s clobberin’ time! 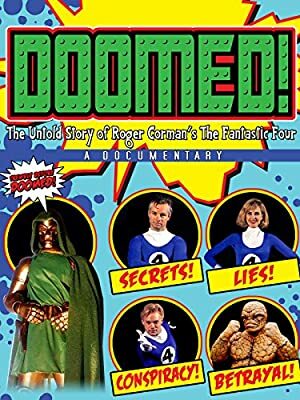 There was a The Fantastic Four movie created in 1994 by Roger Corman “King of the B-Movies”. It looks low budget on both effects and acting, still it’s better than expected. Apparently, it was never officially released, but illegal copies began circulating after a few years. It can also be found on YouTube. 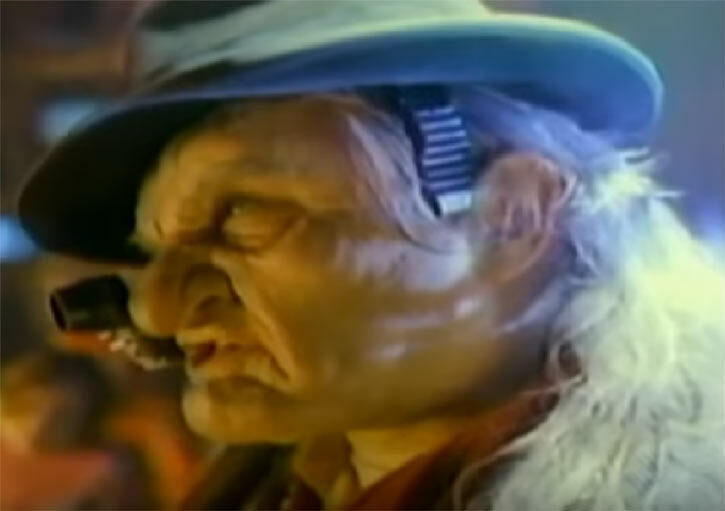 In a low budget terrible movie, there are sometimes gems that can be salvaged. The Jeweler is a generic old-school mastermind working in the shadows of the battle between Doctor Doom and the Fantastic Four. In this story, the Fantastic Four might never have been if not for…The Jeweler! This writeup includes S P O I L E R S.
Base of Operations: New York City sewers. Height: 5’5″ Weight: 195 lbs. The Jeweler makes thieving look easy. He works without tools but with great stealth. He never uses weapons, wouldn’t want to get hurt. He’ll leave that to others. The Jeweler had a devoted following. As leader, the Jeweler promised to provide for his men being very philanthropic, until he needed something. He made a request and his army was very eager to take action. The homeless persons who follow him are great at stealth and concealment. They are new to firearms but seem practiced with them. In this alternate take on the Fantastic Four, Reed Richards and Victor Von Doom are friends. They are working on a project to harness the power of a comet passing near Earth called Colossus. An accident apparently kills Victor. Ten years later with Colossus again passing by Earth, Reed has the chance to redeem his project and give meaning to his friend’s death. Reed and his friend Ben Grimm take a rocket to space, inviting their teenage friends, Johnny and Susie Storm, along. They became the Fantastic Four when they were bombarded by cosmic rays, they would go on to fight their arch-nemesis, Doctor Doom. Their origin is basically the same as it has been for generations. Except that the giant diamond Reed planned to use to shield the rocket from damage by the cosmic rays was a fake, switched earlier by none other than, the Jeweler! There are no other men like me. Only me. 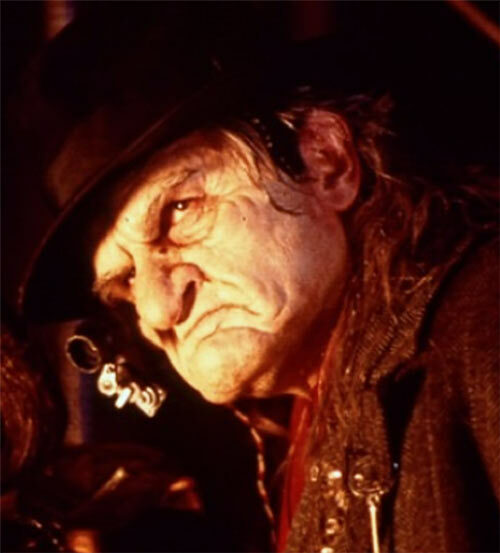 The Jeweler lives in the sewers of New York city. A group of homeless men serve him as as muscle. Not the best henchmen but they’re loyal and follow orders. His target was a huge diamond cluster. A quick stake-out provided the Jeweler with the whereabouts of the diamond as well as the security he’d have to bypass to get it. The Jeweler prized one thing higher than jewels. He was smitten with Alicia Masters, a blind sculptor. The Jeweler spent many evenings peeking in at her while she worked her art, unaware of his presence. This diamond was meant for Reed Richards but the Jeweler had other plans. He wanted the diamond for his queen. Once presented to her she would surely be his. The Jeweler, though old, had no problem bypassing Reed’s security. He switched the real diamond cluster for a fake. Feeling quite confident, the Jeweler sent his men to kidnap Alicia Masters. Using their knockout spray, they made quick work of it, grabbing her and bringing her bound to the Jeweler. Meanwhile, Dr. Doom had his own interest in the diamond. 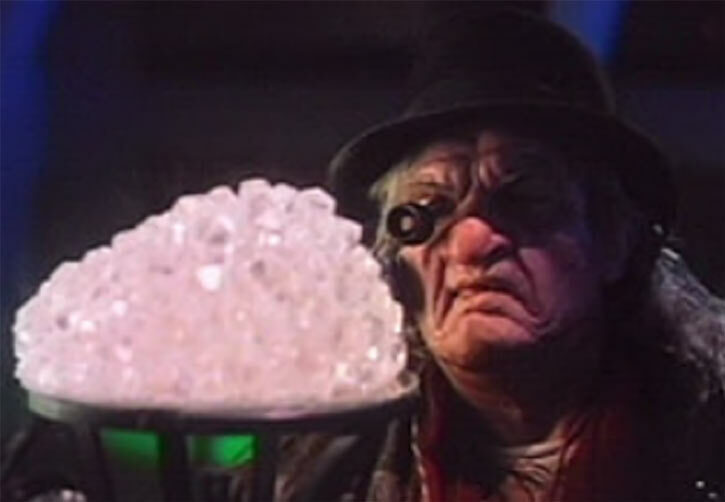 The diamond was the component that would allow his new death ray to harness the power to destroy a city. Doom sent his own henchmen to buy the diamond from the Jeweler. However, it certainly was not for sale. It still had to be presented as a gift to Alicia. Ben Grimm, now fully the Thing, wandered the streets feeling like an outcast, a monster. He eventually encountered some of the Jeweler’s men. They saw him as a kindred spirit and invited him to join the Jeweler’s army. Dr. Doom made a move against the Jeweler to get the diamond cluster. After a gunfight in the Jeweler’s lair where many homeless fighters lost their lives, Doom was about to seize the diamond. This is when the Jeweler threatened to kill Alicia Masters. Doom didn’t care but Ben Grimm sure did. Grimm was about to take the fight to Doom when Alicia uttered the words, “I love you”. Since Colossus’ energies had tapped into Ben’s psyche, hearing this, his heart melted along with his rocky exterior. Ben Grimm’s form returned to its human self. Ben fled the sewers. Later, he became the Thing again rejoined the others solidifying their team as the Fantastic Four. As you might expect, they defeated Doom and his plans and saved the day. The Jeweler was not captured, his whereabouts are unknown at the end of the film. The Jeweler is a short overweight man. Living in New York in the cold season means wearing many layers and a hat. The Jeweler wears a long coat and many pieces of jewelry. His hair is greying to white and long. 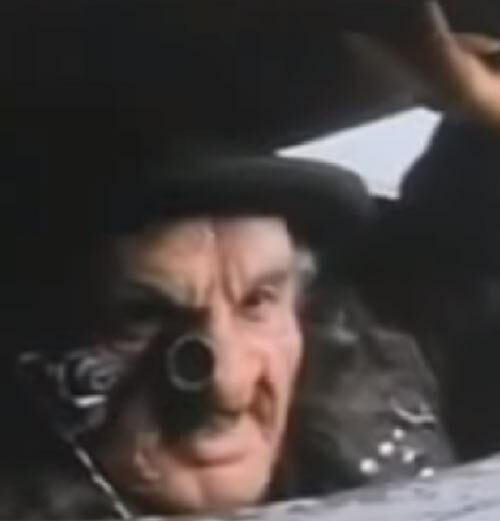 He’s also got an appraiser’s monocle, worn at all times for quick use. The Jeweler talks to himself, a lot. When others speak it usually infuriates him. The Jeweler wants to be in control of his world. The Jeweler has a generic 1970’s villain vibe to him. He kidnaps the girl he has loved from a distance and will force her to marry him. In the 1980’s many monsters and villains and even a few heroes took to the sewers. He also enjoys a good monologue. The Jeweler is in love with Alicia Masters but proves he loves his own skin more. When Doom’s men threaten him with guns, he’s quick to dive behind his new queen. (Holds out both hands to one of his homeless henchmen) “Choose one.” (The hand chosen is used to slap the henchman). 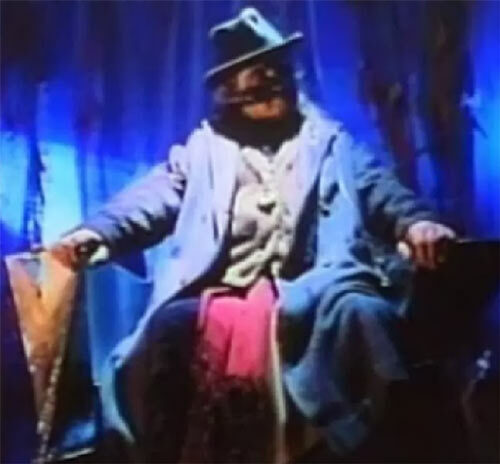 An obvious switch would be to put the Jeweler in place of the Penguin of the 1992 movie Batman Returns. The Jeweler seems very much like many of Batman’s villains and would fit in well in his rogue’s gallery. Much about his character and his interactions with Ben Grimm are reminiscent of the Mole Man. Except replacing his Moloids with homeless people (which also evokes, say, Sarnak), and giving him a jewel thief skillset. Area Knowledge (New York, New York sewers), Expertise (Gem Appraisal), Headquarters (Expansive): New York Sewers. Age (old, unknown), Minor Irrational Attraction to Alicia Masters. Jeweler’s Appraising Monocle [BODY 01, Microscopic Vision: 05, R#3]. EV for Melee weapons EV 03. .38 Special Revolver [BODY 03, Projectile weapon: 04, Ammo: 06, R#02, Drawback: Long Reload]. Repeater Shotgun [BODY 04, Shotgun Blast (Range 03): 06, Ammo: 07, R#03, Recommended STR: 02, Drawback: Very Long Reload]. Occasionally, The Jeweler outfits his men with special gear for specific missions. Knockout spray [Body 01, Sleep 04, R#5]. Doom has notes on the Jeweler and pulls them up but the picture quality on this film is so bad, even on DVD I can’t make out the majority of it. His Alter Ego might be Bartholomew Jackson… or it might say “Birthname Unknown”. It does say Age: Unknown and Race: Caucasian. Skills listed, I’m assuming these are thief related skills and gem appraisal skills. He has three “accomplices” which would be Low Connections to other super villains. Or it may be “Accomplishments” in this case I assume this would be places he’s robbed. Height and Weight is a guess. Wealth is also a guess based on his easy demeanor. His ability to feed and arm his homeless army. Plus he wears jeweled rings and necklaces, displaying his wealth. Source of Character: The 1994 The Fantastic Four movie, character played by Ian Trigger. Helper(s): Worg Weapons locker articles, William Chamberlin. Writeup completed on the 10th of October, 2017.